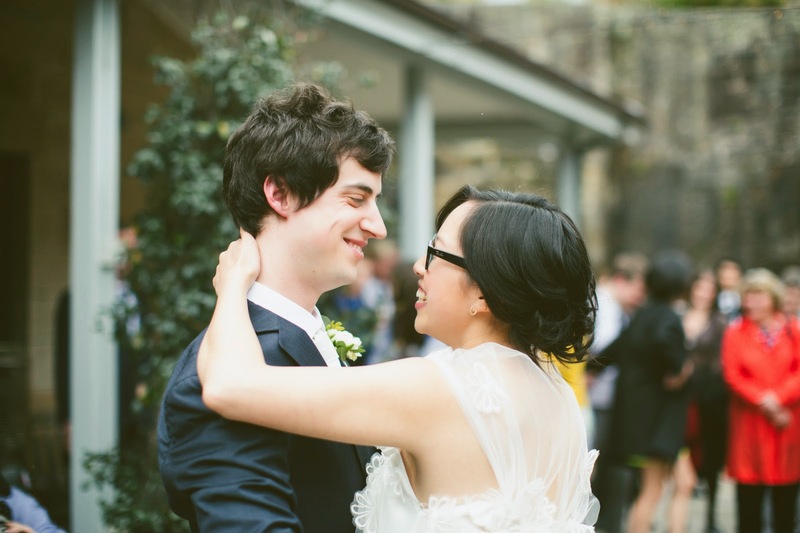 We made a 72-hour trip to Sydney on the weekend to see two friends get married. It was the first wedding we'd been to since we were married and it was the nicest way to spend the last day of summer. We sat on picnic rugs on a lawn overlooking the harbour as the sun went down and then danced late into the night. There was also a very delicious chocolate cake with a hint of rose. 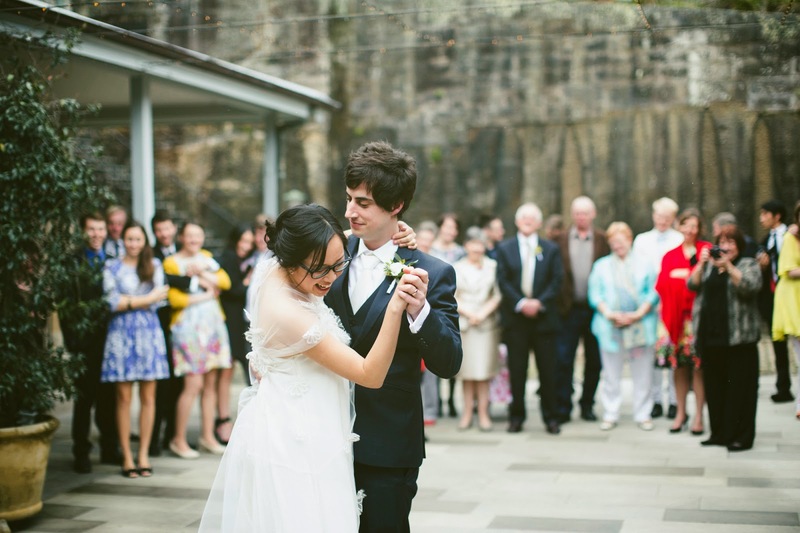 One of my favourite parts of planning our wedding was having a neighbour teach us how to dance. Anne’s a ballet teacher who lives around the corner and one winter’s night we traded some homemade waffles and a bunch of sweet peas for an hour in her home studio. I was there to learn really basic things like - where do I put my hands? But Anne had other ideas. Having listened to our song, she choreographed a handful of simple steps that would get us to the chorus when everyone would join in. I was pretty hesitant about having a routine but went with it that night. It was really fun to be in our wedding shoes, with the music up loud and someone to reassure us that dancing was just like walking. With some convincing (on my part!) and a bit of practice, we did Anne’s dance at our wedding. Having steps gave me something to concentrate on when I was nervous and really happy too. It started sprinkling during our first dance, which was one of my happiest memories from the day. We danced under fairy lights and our friends and family joined us as the rain became heavier. It was a simple and yet really magical gesture. Also - two of my friends did a super fast version of chicken dance (the best!) and I spied one of my oldest friends dancing with her partner, while they kept an eye of their newborn son who was not yet a week old and asleep in his pram. P.S It just so happened that I chose the walking-down-the-aisle song (Only You, Yazoo) and Tony picked the waltz song (Look At Where We Are, Hot Chip).